Gutters are one of the most important parts of your home’s roofing system, routing water away from your property and keeping the foundation free from damage. They come in different materials and styles, with some types more popular than the others. At Advantage Seamless Gutters, we want our customers to be fully aware of their purchases and as educated as possible when it comes to the different types of gutter materials available on the market. Understanding the benefits of each material will help you make a wise decision when you call in the services of local gutter installers for a new gutter system. One of the most popular gutter choices, aluminum gutter systems are lightweight, rustproof and easy to install. 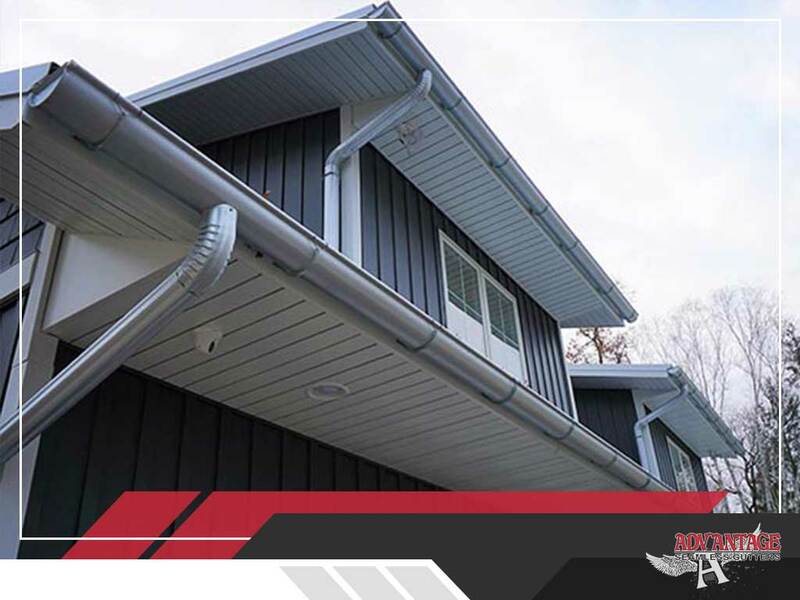 Unlike other materials, aluminum gutters can withstand cold temperatures. Homeowners can also paint this material whatever color will look best with their home’s exterior. For homeowners who want a lightweight and affordable choice, a vinyl gutter system is a top pick for gutters replacement service. The only concern is that if you live in a cold area, your vinyl gutters could crack over time and may produce water pooling in some sections. Like aluminum, copper gutters come in different selections. Galvanized steel is, by far, the most popular as they are affordable and sturdy. Still, rust will take its toll eventually, so homeowners need to follow a thorough maintenance schedule for steel gutters to last a long time. Depending on your needs, there’s a gutter system out there for you and your home. At Advantage Seamless Gutter, we take the hassle out of gutter replacement. We stay on top of industry trends and new technologies so our clients will always get the best products available. We proudly serve the areas of Baxter and Brainerd, MN. Call us at (218) 212-1818 so we can discuss our services. We are the last local gutter company you will ever need.